This paper is the ‘ruminating narrative’ of a recent workshop exploring co-design using LEGO® SERIOUS PLAY®. Its aim is to offer a discussion of co-design and play, a workshop outline, and observations on how LEGO® SERIOUS PLAY®, co-design and play and creativity inter-relate. The author’s reflections on this particular event are rooted in, and distilled from, her wider work using LEGO® SERIOUS PLAY® and with play and creativity more generally. She also revisits her work with Stephen Brookfield on creative, critical reflection (2014) and relates this to the reflective practices embodied in the LEGO® SERIOUS PLAY® method. The author concludes by pulling together the commonalities between play, LEGO® SERIOUS PLAY® and co-design. In October 2018 I was delighted to make my first visit to Dundee, at the invitation of Abertay University. The reasons for my trip were to speak on creativity, play and co-design at their annual learning and teaching conference and to run a workshop on co-design and creativity using LEGO® in the newly opened V&A Dundee. I reflect on this experience here, intermingling thoughts about co-design and play and how these come together through the use of LEGO®-based approaches. While I explore the relevance of this combination and touch on specific examples of co-design I leave it to you as reader to think about how this exploration may relate to your own experience. A misperception of play – LEGO®-based or otherwise – is that it is separate from work, or other aspects of life. I had the chance to explore the city a little before the events and found evidence of play, creativity and co-design all around me. There were clear signs also of cohabitation and co-location of design, if not of co-design in a purist sense. Dundee is in regeneration; the historic juxtaposed with the new and the established with the emergent. This is illustrated in its ambitious waterfront development, where Captain Scott’s ship RSS Discovery nestles on the water, up against the monumental angles of the V&A. While corners of the city seem careworn, it still seemed to me that Dundee is a city that likes to play. The ubiquity of references to creations from its long-established publishing house D C Thomson, parent of the Beano and Dandy, make this apparent. Even my hotel bedroom - an entertaining design cocktail of nightclub-chic-meets-comicbook-jokery – included a portrait of Dennis the Menace, framed by purple and charcoal furnishings. Outside, Desperate Dan and Minnie the Minx plus dog are immortalised in a city square statue. A street has been renamed Bash St, after the infamous, eponymous Kids, and the beautiful Victorian McManus Museum had joyfully re-titled itself the McMenace during the lifespan of its Beano exhibition. These features of the city, as they fleetingly appeared to me, show how our cities and spaces incorporate and move with the social histories and creations of their people. Dundee was playing with its characters and inventions as part of affirming its own identity and value to the wider world. When we embed play, co design and creativity in higher education, research or business we are also affirming, exploring and extending the value of what we and others around us do. We see what we do and think under different lights and from other angles and we shift – imperceptibly or noticeably – from the positions we have hitherto held. Over time, co-design has become one of many popular ‘co’s - I’ve mentioned two already and co-creation and co-construction are two more - which have crept into the language of formal learning, whether academic or professional. They sum up a shift in ethos; from a culture when external experts often lead projects to one where ‘users’ (a soulless term for those with a stake in initiatives) are significantly involved. These users are often referred to as experts with a difference; those who know best what it will be like to live and breathe experiences. In the past these have perhaps been conducted for them by outsiders to their situations. In higher education we see this most obviously in the many initiatives to drive up student engagement, with well-known examples being the Student Fellows Scheme at Winchester, or the Student as Producer project at the University of Lincoln (Neary et al., 2013). Co-design in higher education occurs in multiple forms and contexts, and varies in terms of scale and freedom of undertaking. At one end of the spectrum is a tightly structured brief, which offers a framework within which there is room for a little co-design. At the opposite end is a totally free space in which ‘users’ and the designer identify the true nature of the issue or need and then map out how to address it, perhaps with an unknown outcome. Thinking of who designs, leads and participates reminded me of a much earlier experience facilitating LEGO® SERIOUS PLAY® workshops. A senior colleague had asked me to run a series of them for his teams on an issue dear to their hearts. I was thrilled that he was so keen to incorporate this approach into his ways of developing academic practices. The sheen was dulled somewhat when he instructed me that ‘by the end of the sessions I want them all to understand THIS’. He already knew what he wanted them to think and was hoping I would somehow creatively guide them into getting there. This is not how LEGO® SERIOUS PLAY® operates, nor does co-design. I explained to him that I could neither dictate nor predict what people might build or say or believe, but that the conversation would be all the more illuminating for it. This was very much on my mind in designing my workshop in Dundee. Leafing through different definitions of co-design was useful in helping me frame my questions and approaches; however, these were just starting points. It was essential that our discussions all for all participants views and voices about co-design to be heard and equally valued. I built my workshop around the LEGO® SERIOUS PLAY® principles and techniques but with only two hours, rather than a whole day, at my disposal I had to create a condensed version of it. As a result it felt more accurate to think of it as inspired by LEGO® SERIOUS PLAY®, rather than being the method in its pure form. The co-design approach enables a wide range of people to make a creative contribution in the formulation and solution of a problem. The role of facilitation (usually undertaken or coordinated by designers) is an essential component of a successful co-design project. Facilitators provide ways for people to engage with each other as well as providing ways to communicate, be creative, share insights and test out new ideas. So it is with a LEGO®-based exploration of thoughts about co-design. The facilitator prompts and guides conversations, picks up on thoughts, assertions, questions, and invites the participants to drill into these and go beyond merely stating the status quo or current beliefs. A LEGO-based approach is one of many options to adopt when exploring co-design. The field guide to human-centred design kit (IDEO, 2015) is another approach, as is the JISC Co Design Playbook (2017); both offer a systematic means of following a co-design process. Given my own interests I was attracted by the title ‘playbook’, however the JISC interpretation of play surprised me, being quite different from mine. Their main intent in creating a co –design model is to advance their own R&D work and to involve technology. Their use of the term play effectively relates to activities including discussions, focus groups and reports, whereas for me play is something very different. It is freeing, and freely chosen activity which absorbs attention, spirit and activity, is joyful and which may not have a predetermined purpose. As Chrissi Nerantzi, I and many others illustrate, play and playfulness come in almost limitless forms (James and Nerantzi, in press). The LEGO® SERIOUS PLAY® methodology also offers a systematic approach to addressing complex issues of any kind; planning and facilitating the workshop to explore co-design revealed how well the two work together. A co-design approach is important for those affected by a development or plan for change. It is a move away from user as ‘done to’ to user as ‘doing with’. Similarly, the LEGO® SERIOUS PLAY® approach is a non-hierarchical one which mobilises all voices equally by insisting that everyone builds, shares, and speaks. It is a tool to enable strategic thinking and one which gathers all perspectives -- including competing views. In the context of management and leadership this is essential, as it removes the opportunity for the senior person in the room to impose a preconceived view of, or already fixed outcomes. Our considerations of co-design, creativity and play take on three-dimensional form when we use LEGO-based approaches to embody and expand our understanding. The constructionist learning philosophy (see Papert and Harel, 1991) underpins its use, through its driving principle that we learn best when we make things. In so doing we create both an item or artefact and also new knowledge. This knowledge may be about things or a subject, or about people, relationships and abstract or intangible qualities. In co-design these fundamentally concern the people at the heart of the design issue and how they interact with each other and their context. The LEGO® SERIOUS PLAY® method is the same, concerning participants at the heart of an issue, their actions, relationships and contexts. Having the V&A Dundee as a venue for considering co-design was apt, given the shared vision that has brought it into being. Symbolically, close by our room in this wonderful new museum, was a board celebrating the Scottish Design Relay activity. (This started in 2017, when young people, apprentices and students from Dundee, Orkney, Shetland, Caithness, Gowan and Aberdeen were set a co-design challenge to develop a new object, service or artwork (Exhibit information, V&A Dundee). There were more than 30 of us including a contingent from Abertay University, colleagues from other universities, and members of museum staff. (We would have been more numerous had members of the public succeeded in their desire to join us; they peered through the door, attracted by the LEGO® and by the pull of play and creativity.) With a mere two hours to explore both the topic and the basic principles of LEGO® SERIOUS PLAY® it was never going to be possible to enter deeply into the subject. What was possible was offering a first insight into the method and signposting ways to take enquiry further. You may find that I shift a little between tenses here; this is because I need to write both about the specific event in Dundee and also my experience of facilitating LEGO®-based workshops more widely. All LEGO® SERIOUS PLAY® workshops open with warm-up and developmental building activities to ensure all participants feel comfortable with building and understand what it means to explore topics metaphorically. These are set out in detail in Nerantzi and James (forthcoming), James (2015), The LEGO Group’s (2010) open source guide to LEGO® SERIOUS PLAY®, and other publications. (To know much more about the history, purpose, science and success of LEGO® SERIOUS PLAY® you can also read master trainers Per Kristiansen and Robert Rasmussen’s 2014 book). In this workshop, we started with quick, individual playful builds, designed to relax participants and get them quickly used to the idea of building metaphorically rather than literally. These were followed by team builds (6-8 people at a table) of bridges, which were then interrogated from a co-design perspective. The brief was simply to build the widest bridge possible, with spans that you could insert a hand through without touching the sides. 3 or 4 minutes are given for this activity and two questions asked afterwards; how would you score your team out of 10 in terms of meeting the brief, and how did you approach the task as a team? Doing this consolidated something that is often revealed in other workshops in terms of people’s judgments; in particular, the additional criteria that they implicitly bring to a self or team evaluation, and also to a design brief. Long enough? Pretty enough? With surrounding enhancing features like boats or people or trees? One or two participants often have to remind the group at this point just how basic the brief for the task had been. However, we humans seem to find it difficult to refrain from making presumptions as to what else is meant, needed, expected or valued in a situation. The same diversity of interpretations comes into a co-design process, along with assumptions about power and control; who is charge of the project or decision-making? Does any particular set of beliefs or values or desires hold sway? Do all contributors have the same kind of outcome in mind? After the warm-up period groups are usually ready to consider questions that explicitly address the theme of the day, and so we started with questions around the meaning of co-design. Typically, participants build individual models in a relatively short space of time and then take it turns to present these to their group. It is important that they talk through the model, rather than build something and tell an unrelated story. So, every detail needs to be within the model somehow. This is something that may need prompting in some participants, who may tell a story that is opaque, or in shorthand at first. In keeping with the LEGO® SERIOUS PLAY® philosophy all participants should listen intently to the stories told and while they can ask questions about meaning or ask for more information they do not place their own interpretation on a person’s model or story. This can sometimes be a challenge, especially if someone is enthused by another’s creation or thinks they are empathizing, when in fact they are subtly imposing. To you, what does co-design mean? Who is involved? When? In what role? How much do you do currently? What does it look like? If you don’t currently do any, does this matter to you? How do you feel about co-design? Why do you want to do it? (assuming you do) and so on. This activity took about 8 minutes for the model build and then enough time was allowed for each person to present their model and receive questions or observations. They then looked at all the models and identified resonances and differences in the things they had constructed/recounted. There is not space here to tell their individual stories and participants had very varied experience of co-design. However, across the different models that were built there was consensus that co-design enabled everyone with a stake in a project or outcome to play a part in how it turns out. Keywords that kept coming up in models were about process, risk surprise, ownership, direction, power. These are trigger words which, with more time, it would be important to probe further to develop and nuance understanding and enquiry. Where are the repeat motifs in your model? Combine these and place them in the most relevant part of your landscape. Are your co-design activities within or outside the curriculum? What characterises and describes the behaviour of this institution in terms of co-design? What does it feel like? What challenges does it face? What in your practice currently would most benefit from a co-design approach? What might change if you went down this route? What should it be like? What should it have in it? What should it do? Who will be in it? Who are you creating it for? What factors will affect its success (positively or negatively?) What do you most desire or fear about making this change? Who can help you? Build and imagine all aspects of this. Both facilitator and participants have the opportunity to do all of these things through building and sharing. Participants tell their stories of an issue as they see it and need to be present for, and pay attention to, those of their fellow builders. A physical, visible manifestation of these stories helps reveal the clashes and the gaps. Its metaphorical approach changes the language we use and the kinds of messages we communicate. As a facilitator, while I work out in discussion with my host how best to explore a subject or issue, the general theme has usually been selected for the event in advance. So it was with this theme of co-design, to which I brought my interest in play and creativity. With LEGO® SERIOUS PLAY® there is also going to be an element of uncertainty; you try to anticipate what might come up as you prepare a topic and workshop. However it is essential to be flexible as you never know what people will say, build or how they might respond to events. So the LEGO® SERIOUS PLAY® methodology is a doubly reflective one, in terms of both the subject addressed and also the enactment and evaluation of activities by all involved. In this paper I have recounted a whistle-stop exploration of co-design using LEGO® SERIOUS PLAY®. I offer the workshop outline and thoughts about co-design as context and a point of departure for anyone seeking ideas about how to approach a similar activity. It should be noted to that this was an introductory workshop; one for a team using a co-design approach for a specific undertaking that they want to explore through LEGO® SERIOUS PLAY® would be structured differently. I have deliberately not shared the stories of participants as these belong to them. Furthermore, the models and conversations and revelations of future workshops are what will matter to their participants, not what was said elsewhere. LEGO® SERIOUS PLAY® results in unique artefacts, which have been both individually and collectively designed. That dual process has an affective impact on participants, as much as an informative, or insightful one. I am pleased to say that the workshop met its goals; participants said they had had fun, been enlightened by the approach, and could see how the techniques could work in terms of enabling a different kind of thinking. It was an effective way to start a conversation about co-design which would inevitably benefit from richer, deeper considerations. The surprise for them was that using a LEGO-based approach was visual, engaging, memorable and expanding their repertoire of thinking strategies on a complex issue. This was positive feedback, yet not a surprise for me. Having run many longer sessions with LEGO® SERIOUS PLAY® over several years I also knew how much more we could have achieved in different circumstances. What did surprise me – and I only learned this through constructing, facilitating and reviewing this workshop – was how much play and co design have in common. They are both social, participatory, about relationships, about valuing others and creating value, about ownership, about contributing to shifts in power, about making a personal investment, joyous, helping create new perspectives, useful for rule-breaking and making and about real need and desire. Play, co-design and LEGO therefore form a powerful trio for creative, constructive and collaborative exploration. I look forward to applying them and exploring their use in different contexts in future. Chisholm, J. (n.d.), What is co-design? [Online] Available from:http://designforeurope.eu/what-co-design [Accessed on 7 November 2018]. Eno, B. and Schmidt, P (1975), Oblique Strategies Cards, London: Self Published. James, A. (2015), Innovative pedagogies series: Innovating in the Creative Arts with LEGO, York: Higher Education Academy [Online] Available from:https://www.heacademy.ac.uk/system/files/alison_james_final.pdf [Accessed on 1 November 2018]. James, A. and Brookfield, S. (2014), Engaging Imagination: helping students become creative and reflective thinkers, San Francisco. : Jossey-Bass. JISC (2017), Co design play book: strategies for collaborative innovation [Online] Available from: http://repository.jisc.ac.uk/6658/1/co-design-playbook-2017.pdf [Accessed on 7 November 2018]. Kristiansen, P. and Rasmussen, R. (2014), Building a better business using the LEGO® SERIOUS PLAY® method, Hoboken, New Jersey: Wiley. 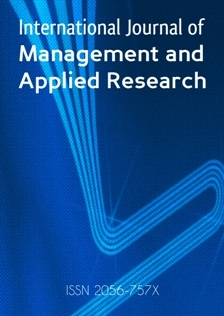 Nearly, M.; Saunders, G.; Hagyard, A. and Derricott, D. (2013), Student as Producer: research-engaged teaching, an institutional strategy, York: Higher Education Academy [Online] Available from: https://www.heacademy.ac.uk/system/files/hub/download/lincoln_ntfs_2010_project_final_report_fv.pdf [Accessed on 7 December 2018]. The LEGO Group (2010), Open-source: Introduction to LEGO® SERIOUS PLAY®, [Online] Available from: http://seriousplaypro.com/about/open-source/ [Accessed on 6 December 2018].